KIEV, Ukraine -- Three years after the start of the conflict in eastern Ukraine, several thousand people are still missing, although the exact number is not known. What is clear is that too many families are still waiting to know the whereabouts of their relatives. To shine a spotlight on this issue, the International Committee of the Red Cross (ICRC) is today opening an exhibition in Slaviansk entitled Uncertainty: Families of the Missing on Both Sides of the Conflict, devoted to missing persons and their families on either side of the line of contact in Donbass, eastern Ukraine. "Uncertainty as to whether their missing relatives are alive or dead causes families intense stress and suffering," says Alain Aeschlimann, the ICRC's Head of Delegation in Ukraine. "There is an urgent need to find answers. Families have the right to know." Over 600 cases of missing persons registered with the ICRC remain unsolved. The vast majority of them are for men. And around half the overall ICRC caseload since the beginning of the conflict concerns civilians who have disappeared. Based on research carried out by the ICRC in 2016, it became clear that people searching for missing loved ones want psychological and psychosocial support. In response, in October 2016, the ICRC started an 'accompaniment' programme for a small number of families and plans to expand it this year. ICRC forensics experts are also providing training, technical and material support for the exhumation, examination and identification of human remains, working with search and recovery teams, police authorities and forensic experts. 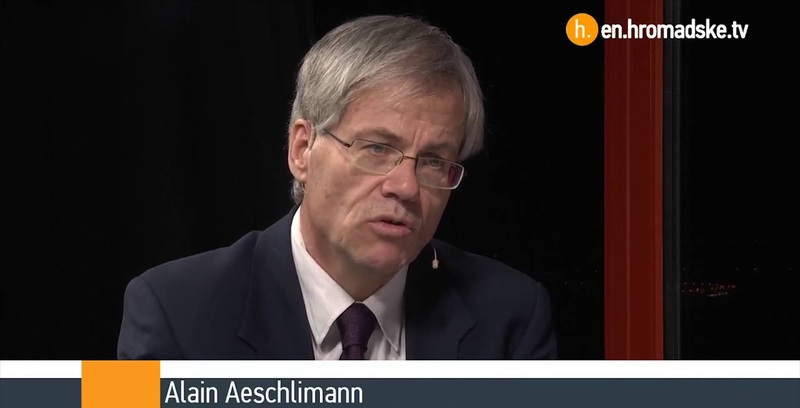 "Our services are there for everyone seeking contact with, or news about, relatives who are missing or from whom they are separated," explains Mr. Aeschlimann. "Together with local Red Cross branches, ICRC teams are actively assisting families who are looking for a missing person. People have the right to know what has happened to their loved ones." The ICRC's 'Uncertainty' exhibition in Slaviansk will run until the 6th June on the main square. It was also displayed in Kiev and Severodonetsk in the second part of 2016 and will also be shown in other cities in the coming months. The ICRC's services are free. As an independent, neutral and impartial humanitarian organization, the ICRC focuses on helping the most vulnerable. Its teams visit people detained in connection with the conflict in government-controlled areas, and are negotiating full access to places of detention on the other side of the line of contact. In accordance with its mandate, the ICRC is present whenever possible during the release and transfer of detainees between the parties concerned. The ICRC delivers food, hygiene items, medicines and building materials to the worst-affected communities and is helping various water boards to provide drinking water and repair vital infrastructure. ICRC teams conduct mine risk education activities and produce posters, billboards, mine marking signs and other tools for use by those involved in mine clearance and training. The ICRC also regularly reminds the parties concerned in the conflict of their obligations under international humanitarian law. These universally recognized rules, which are based on a clear distinction between civilians and military personnel, require that civilians and civilian infrastructure be protected from the effects of hostilities.